Beatrix Potter gathered material for a book of rhymes over many years. 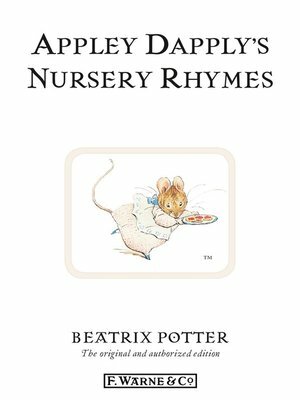 In 1917, when her publisher was in financial difficulties and needed her help, she suggested that Appley Dapply's Nursery Rhymes could be brought out quickly, using her existing collection of rhymes and drawings. The fact that the illustrations were painted at different times explains why the style occasionally varies.